On Saturday I was able to steal away for a couple hours and went thrifting. I visited some (new to me) shops not far away and enjoyed some eye candy. Here are a few shots of what caught my eye that day. 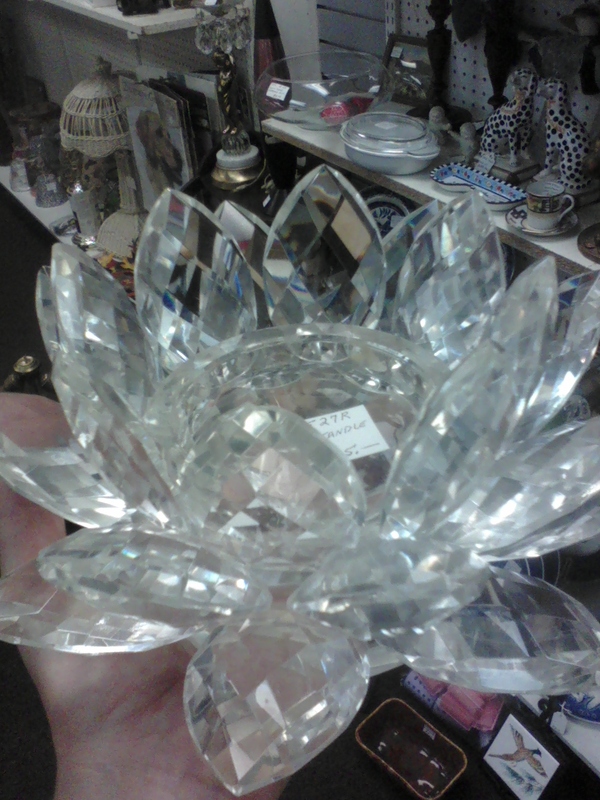 I thought this lotus flower holder of sorts was so gorgeous. Wouldn't it be beautiful as a centerpiece on a dining table or holding your jewelry on a bedside table? So unique and simply stunning in person. 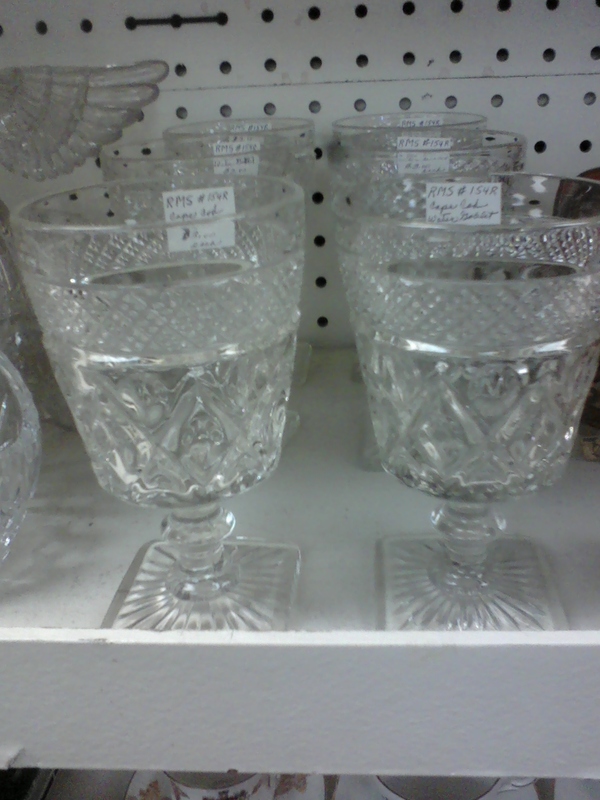 I believe owning set of goblets are in my near future. Even if only used on occasion, they're so pretty and would have a place of honor in my china cabinet. And now on to the ReStore. I went earlier in the week looking for some hardware but found a few other things I enjoyed. I always check out the tile when I'm at the ReStore and LOVED what I saw this time. 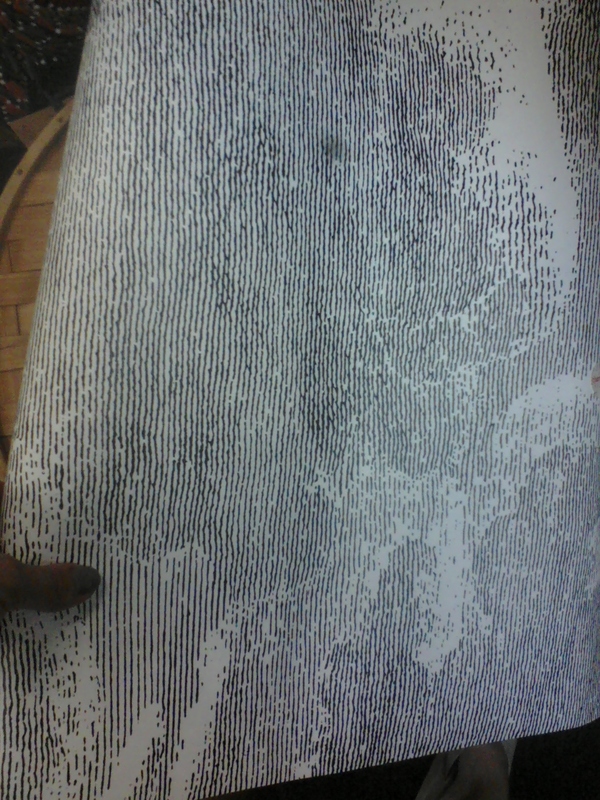 They had these subway tiles on sheets there. 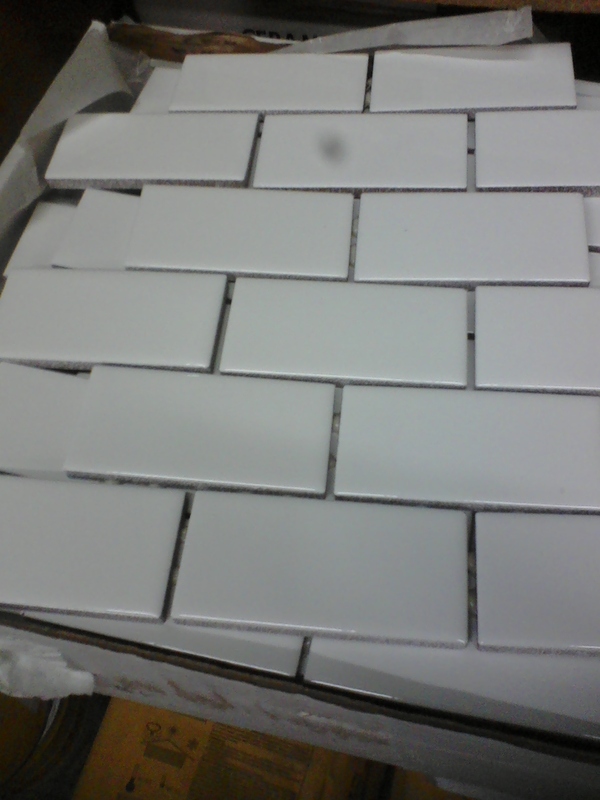 They were smaller than the typical 3 x 6 sized subway, perfect for a backsplash or accent wall in a bathroom. Loved them. I seriously can't get enough of white subway. 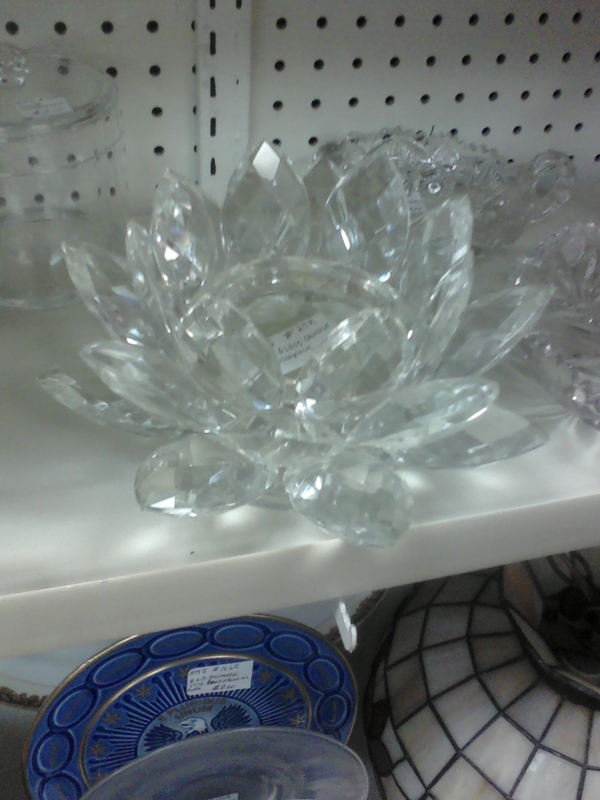 And these I totally thought about getting. I'm still slightly obsessing over them, but we don't have any current place for them. I could use them when we remodel the boys' bathroom, but who knows when that'll be. I think they were like $1/sq ft. Aren't they gorgeous? They were powder blue. Have you been thrifting lately? Find anything good? I'm excited to go to this huge yard sale on Sat at a local antique flea market. I'm sure deals and treasures are waiting to be discovered! Wow! That tile is amazing! I never see anything like that at my ReStore! I love the aqua and green chairs too! You just never know what's going to show up at the ReStore:) It's definitely worth dropping in from time to time. Nice finds! Especially those tiles... gorgeous! Amazing the things you can find thrifting... always makes me so inspired :) Thanks for sharing! 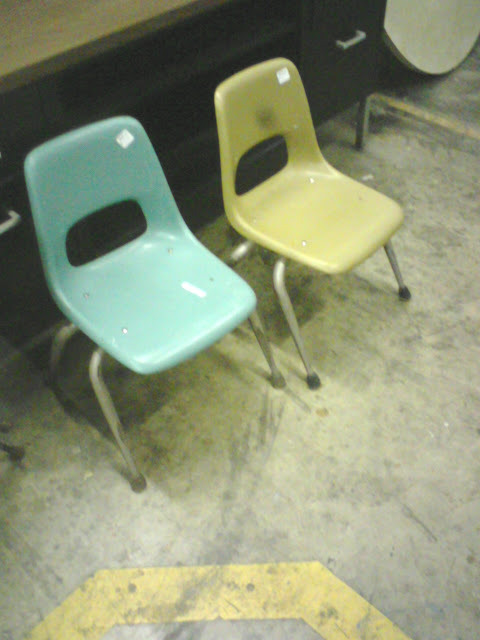 I love the Restore. I haven't been in awhile but I'm thinking I need to go again soon. You never know what you will find. 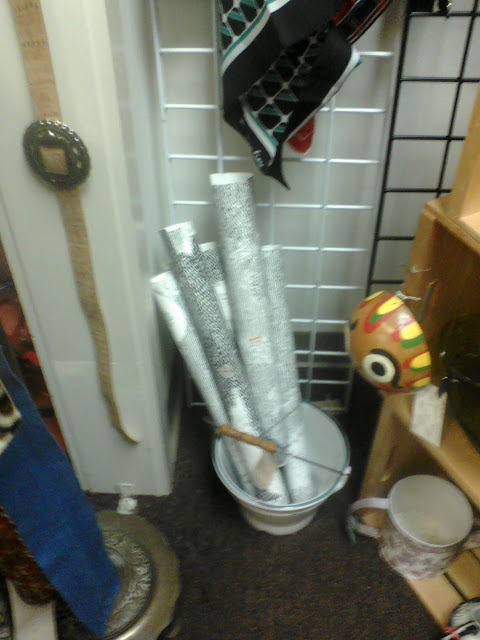 I once found this drum shade chandelier that I still regret not buying. I'm loving the subway tile and the powder blue tiles you found. Which Restore did you go to?? I am in PA and I am in search of a subway tile backsplash. That is a great price! We are only 35 minutes from there so it's worth the drive to see if they still have it!!! My fingers are crossed for ya!! I think you need to go back and get the goblets for everyday glasses. I am sure you boys will think they are super special. We just got a restore and I can't wait to go. It is right across the road from where I work and I haven't even been yet?! Wow...so fun to shop with you. 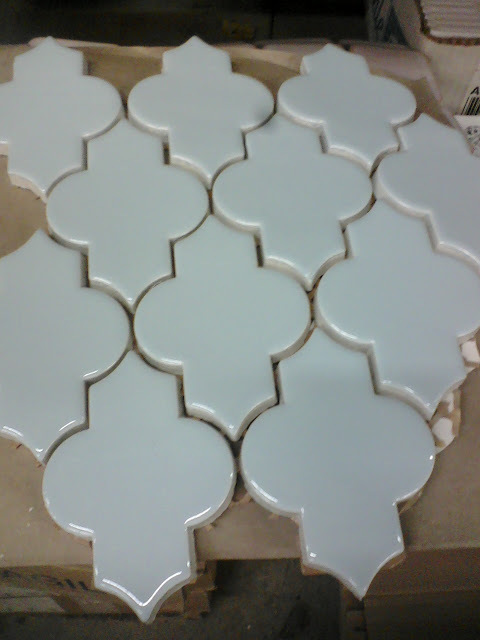 Don't you just want to tile something? 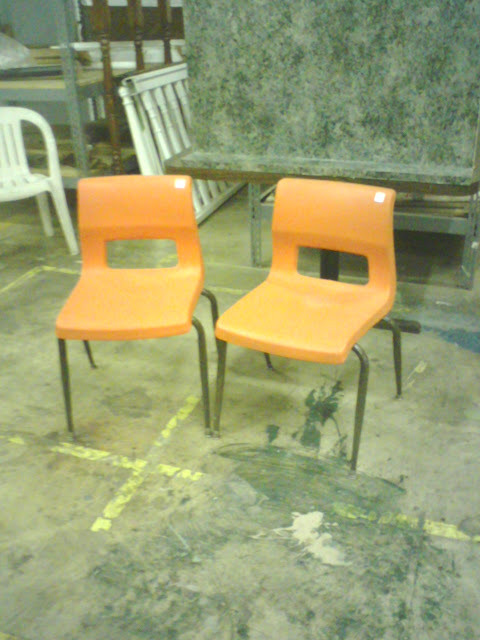 Cute chairs.